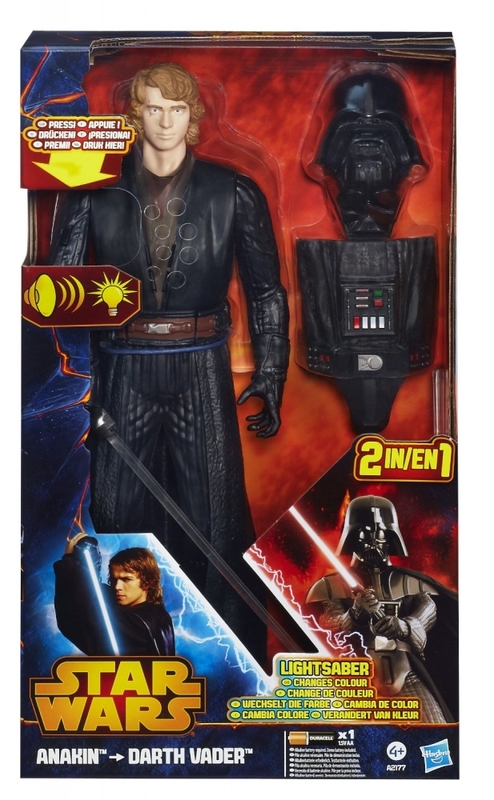 Hasbro introduces a breakthrough action figure innovation to celebrate the rise of Darth Vader with the Star Wars Anakin to Darth Vader figure. This is a collectors item. Ultimate Darth Vader introduces a breakthrough action figure innovation to celebrate the rise of Darth Vader with the Star Wars Anakin to Darth Vader figure. 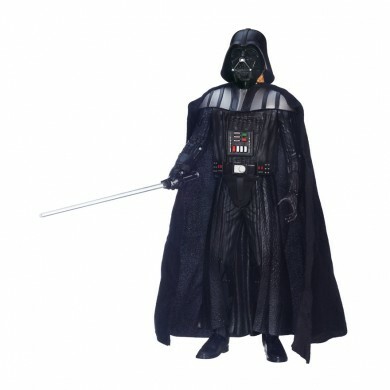 Standing at 13-inches tall, this figure changes from Anakin Skywalker to Darth Vader by attaching the helmet and armor, and includes iconic movie phrases, sound effects, and a Lightsaber that changes from blue to red. Starwars® © & ™ Lucasfilm Ltd. All rights reserved. You can be Anikin or Darth Vader - you choose! Price: £15.95 You Save: £6.84 (30%)! My son loves star wars and this is his favorite toy. You press the button and he speaks as Anikin and when you put the Darth Vader helmet on it talks as Darth Vader. 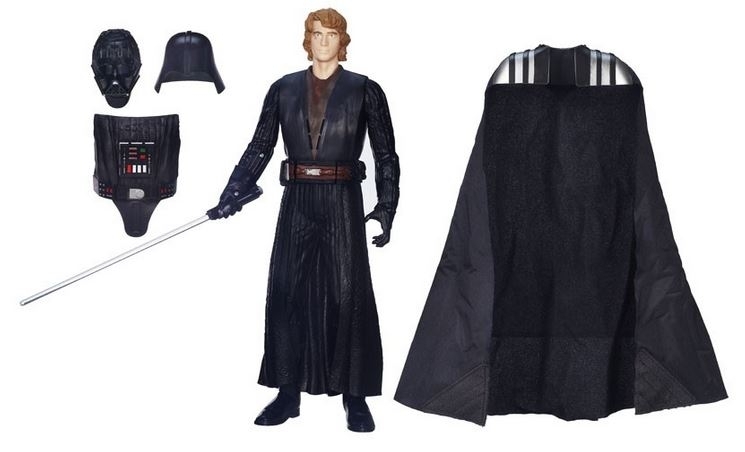 It comes with a light saber that lights up and makes the noise we all love to hear. He loves his new star wars toy. I couldn't belive my eyes when I saw the price. Argos sell the very same for twice it's price. Bought this for my son who is a starwars fan and it's his birthday next week. Cheers!